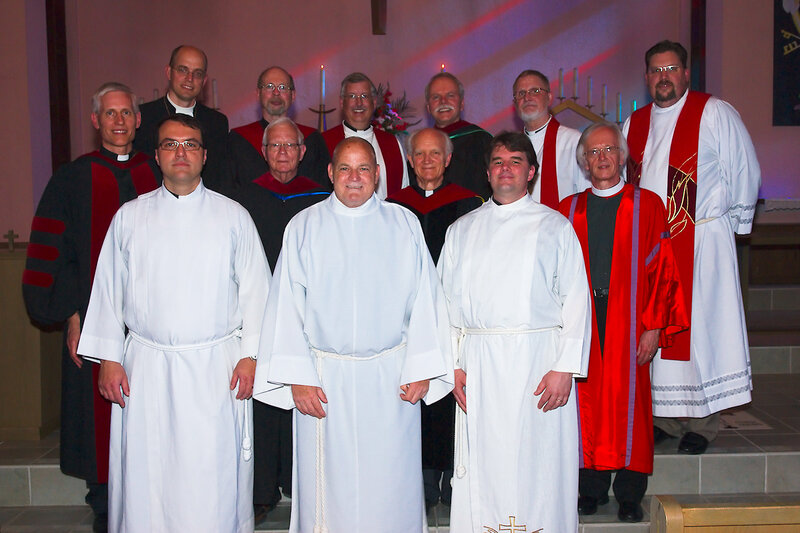 A warm welcome awaited all who ventured out into last Saturday’s heat to attend Concordia Lutheran Theological Seminary’s annual placement service. Every spring around this time students are assigned to a year of internship, called vicarage, and graduates receive their first calls from synod’s congregations. The festive mood and music is appropriate for this very important moment in these young men’s lives. 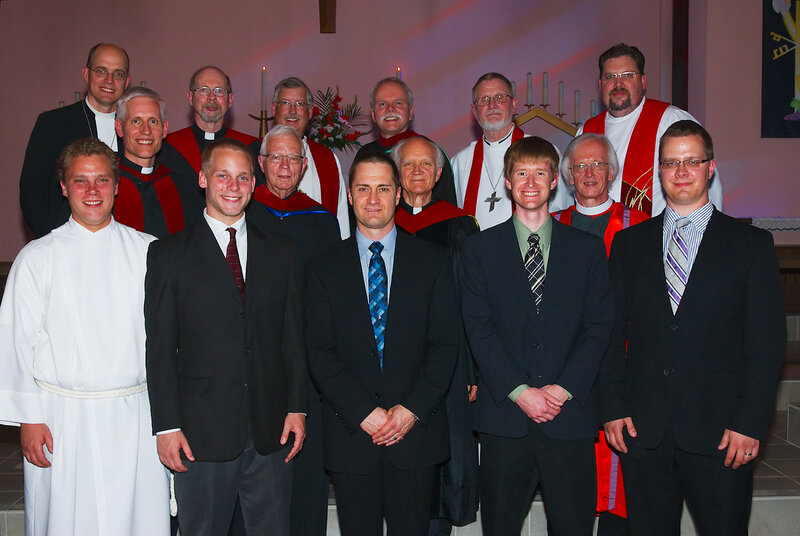 Six St. Catharines vicars were placed and three graduates were eligible to receive first calls. The 180 worshippers on site and the 53 live-stream viewers not only saw students being recognized in this way, but they also saw special honours bestowed on three individuals. 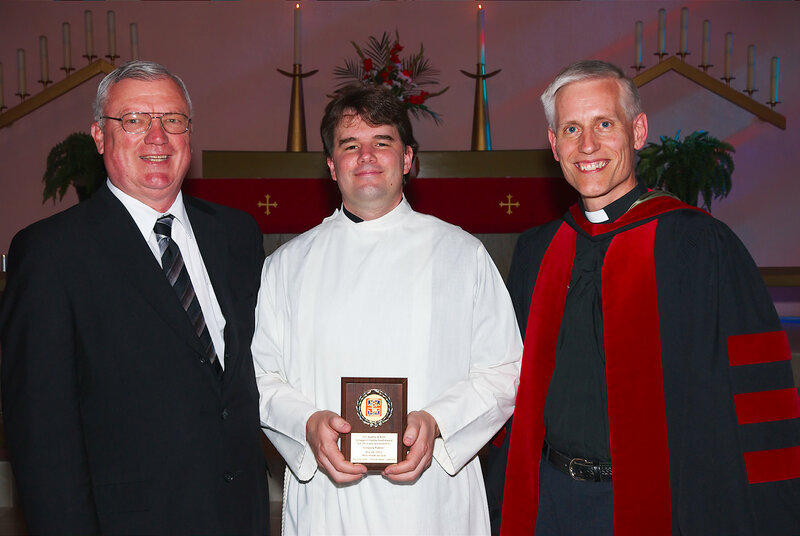 Seminarian Greg Palmer received the Nadine and Kent Schappert Family Fund award for pastoral care. Rev. 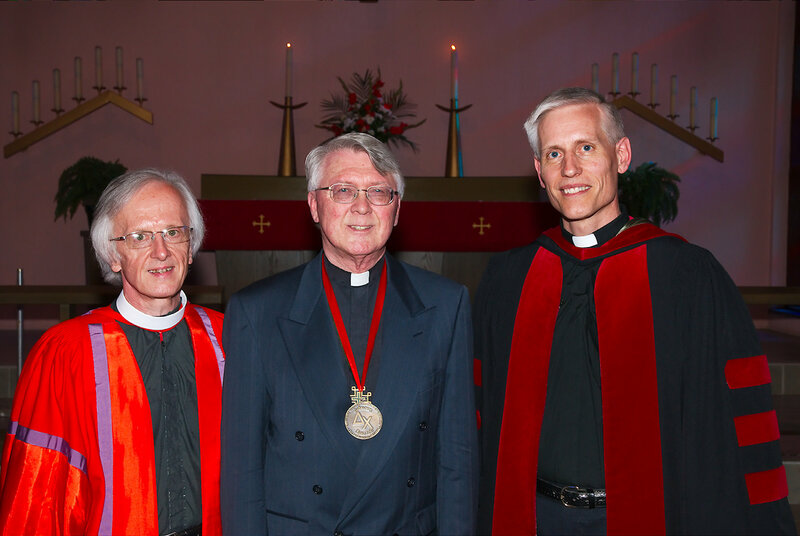 Ronald Oravec from St. John’s Lutheran, Wheatfield, New York, was recognized for a life of selfless service to the church at large with the Delta Chi Medal. 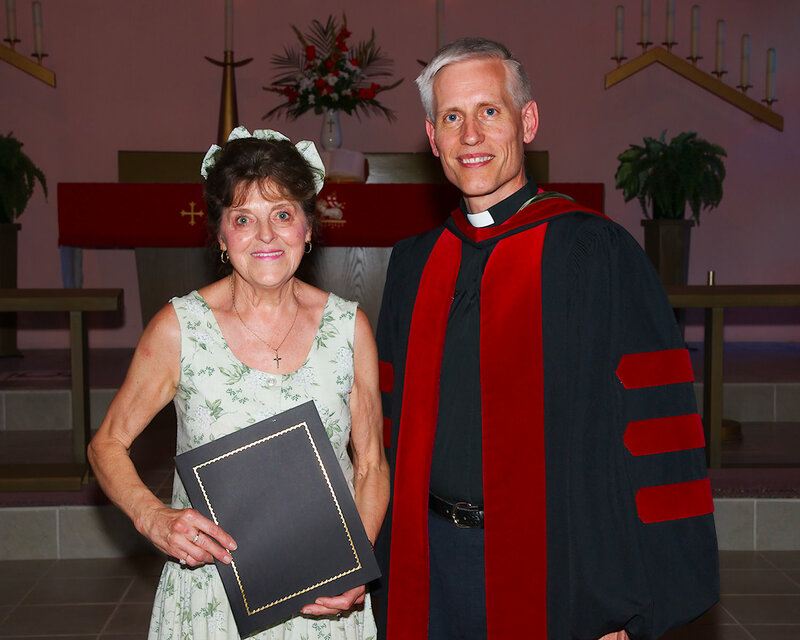 Mrs. Ivy Parkhouse was awarded the Friend of the Seminary Award for the tireless efforts she gives to support Seminary events and causes. Preacher for the day was Dr. Wilhelm Torgerson, a visiting professor for the last year (and for next year, too) thanks to a grant from the Schwan foundation. All were treated to welcome refreshments following the service thanks to the work of the Seminary Guild and the generous support of FaithLife Insurance.